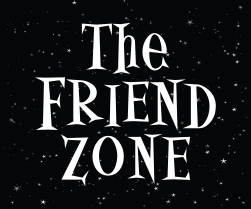 Click here for Friend Zone. I have always believed that nature always has its course, and you can go with the flow, or be swept away in the current. When dealing with animals, especially those feathered friends we have brought into our lives, it’s very important to remember who exactly they are. Wild animals who haven’t been domesticated through several generations like the dogs and cats we share our homes with. Rather making them servants to their instincts and their bodily intuitions and not really understanding social conventions and human expectations (without extensive training of course). I got Ross and Rachel here. Dr. Jason Crean and I did a podcast on the epidemic of Anthropomorphizing in the parrot community. Surfing the interweb this morning, I realized it is something that I should write about again. You’re probably thinking Anthropo-WHAT? Yes that long word animal owners don’t care for. The premise is not complicated, at least for the animal, it’s our brains which seem to have the problem wrapping our heads around it. Let’s break it down, remember Ross and Rachel from Friends? Their pouty passive aggressive relationship which was on and off again? The tension filled glances across a room with the swelling music in the background, because the other was not ready or couldn’t find the correct way to communicate feelings? Remember those dramatic moments when they would finally come together, only to be dashed a things didn’t “work out” a few episodes later? Guess what, in your birds mind you could be Ross or Rachel. Click here for Lovebird Regurgitating. If allowed, a parrot will develop a “mate” bond with its owner. It doesn’t even have to be during the horrible hormonal season(s), you may have been tossing your parrot signals, similar to the pouty lip quiver and squinted eye look Jennifer Anniston is so known for in her career. Has your loving bird regurgitated for you? My Timneh, Dexter has, and at that time I know I have to stop what is happening, and put him down. It’s the most beautifully disgusting behavior your bird can do for you. I understand when it happens, it’s time for me to (1) evaluate my behavior and physical contact or (2) look at the calendar, temperatures, daylight schedules, thermostat and possibly begin Hormone Havoc from Greywood Manor Provisions (Shameless Plug – don’t judge). The simple act of regurgitation is very loving, indeed. However it’s a sign of possible hormonal problems to come. I got this quote here. Recently I was chatting with a friend who owns a parrot store and she was explaining a wild behavior of presenting foods to your bird in/on cages. In the wild a parrot will generally head to the highest point, you know because who doesn’t want the eagle eye view from a penthouse especially if there are predators in the world below. Usually a mate will search for food while their mate is tending to the nest. The mate will then “present” food. Now, think about cages with food dishes and a play-top. Our greys had them, and I found it odd that one would only eat his “chop/mash” on top of his cage and refused to touch it inside. Cue the aggressive behavior and wanting to rearrange my husbands finger placement. It was all due to me “presenting” him with food and me encouraging an inappropriate mate bond. We humans, tend to blame the animal for “their” behaviors and create labels. “That bird is a biter”, “that dog is aggressive” or “that cat tries to kill me” (which may be true, I’m not too sure how much I trust felines). Instead we should “take responsibility for the energy you bring into the space” and think about the precursors to the behavior and what you could have done to get a different outcome. Maybe your bird is a biter due to excitement, or maybe your dog is aggressive because you have not used positive reinforcement in order to get him not to be food aggressive. Don’t label, it’s not proactive and more importantly, it’s not fair. The interesting thing about animals is they are very resilient. They don’t bring up their “trauma” as much as we do, they merely react to various environmental conditions. It’s our responsibility to get the education on training and recognizing these behaviors, especially if we want to have a happy bird in our midst. I got Perfect Storm here. Honestly, I think that’s always what upsets me the most when March/April comes. The entire year, you have let your bird have free reign over their dominion (your house). Feeding them inappropriate foods, allowing them to roam finding caverns for potential nests. Letting them chew up your baseboards and door framing therefore providing materials for said nest. Eventually there will be a time your bird will start to take ownership over you, therefore causing problematic behavior for “challengers” who may want to steel your attention or affections. This is when you see the video of the parrot chasing the Shitzu on the couch and the owner laughing and thinking it’s hilarious because they got 10,000 views on Facebook and Instagram. What you don’t see is when the Shitzu and owner have to get stitches because the parrot has attacked the dog and the owner went to break it up and got bit in the process. Pay no attention to the man behind the curtain. You allow them to climb all over you, play in your hair, stroke their feathers in inappropriate places, sending them signals you are their mate because they believe you are “preening” them… as any good mate should do. Some bird owners provide them with small warm cute cloth tents to cuddle in (click here to read the article I wrote about them), letting them play in boxes or shred newspaper in the bottom of their cages, giving them nest like options and materials. Realistically you are hitting all the right erogenous zones and making a lovely dinner for two with a nice Chianti. So cue the Marvin Gaye music, you have created a perfect storm. A perfect storm of sexual frustration, inappropriate mate bonding and hormonal breeding/nesting behavior. Add breeding season on top of it and the first warm weather surge of the year and Craigslist is full of people who “can’t” handle their birds any longer. “My bird all of a sudden changed and hates me”. That may very well be, but it’s up to you to take a step back and look at all of the factors which have gone into this chaotic potion. Did you add a little bit of this, or a little more of that? Is your bird reacting to environmental conditions? Are you being proactive? Did you do the research and reading before purchasing or adopting said bird? Did you know about these behaviors, and how easily you can create a hormonal bird who will most likely start aggressive behavior, barbering, plucking or mutilating out of frustration and abandonment issues? You would really be surprised by the number of emails or social media messages I have asked that exact question and the answer has been, “no”. Breathe, it can get better and with some patience and a game plan, it will get better. It’s a matter of perspective and not being a defeatist. In our house, the birds have multiple playstands TONS of foraging options and get TONS of enrichment opportunities. They are not allowed to wander around the house and chew on things or find caverns for nesting. They are used to their “areas” and aren’t allowed to scurry about on the furniture and attempt to make a pile of splinters out of our Indonesian credenza. It can be done, it’s all about being consistent and the most important thing I learned from my buddy Lara Joseph it’s about giving them positive reinforcement when they are in and staying in their designated areas. Also, allowing them to roam and chew on things can be a health hazard, you have no idea what chemicals are in your cabinet’s varnish or what kind of paint is on wall or wooden trim. You may be thinking, “I didn’t know”, or “no one told me”…Pssst. Guess what, I didn’t know either, and that’s ok. Life is about learning along the way and personally I try to allow myself to be open and absorb. I continuously have my Oprah “Ah-Ha” moments and I am so eager to learn from those who have walked to path before me and those who are trailblazing new ones. There are so many ideas and paths to explore, there are also so many “experts” out there; video blogs, written blogs, podcasts and other great sources of information. It’s a matter of you choosing what fits best for you. Everyone is different, and that’s ok, but just remember what’s best for your birds and allowing them to have the best quality and quantity of life. We are still learning about our companions and what they truly need to live along side us, but remember giving them mixed signals to fulfill our own needs and emotions isn’t necessarily what is best for your bird. It will only make your birds life more difficult and their life with you frustrating. After all, it’s about them… so keep them in “the friend zone”.